Courage is required to move beyond planning into action. The amount of courage correlates to the attachment we feel to our plans and the attitude we have about failure. Risk-averse/plan-heavy environments are discouraging — risk-tolerant/experimental environments are encouraging. Are you stuck in planning mode? I was coaching Product Managers working for a demanding Chief Product Officer. Not only demanding but also visionary yet particular, energetic yet moody, instinctual yet empirical, intensely focused yet integrally involved in all aspects of business — he led the creation of a multi-billion dollar product so these traits are evidently effective. The Product Managers faced intense pressure. When I met the group, projects underway by the engineering teams were all in the name of optimization or reliability of existing features. New product ideas had been shelved and Product Managers felt paralyzed in a pattern of planning and analysis. The more they planned, the more they became attached to their plans, the more they were disheartened when the CPO rejected their plans, so the more they would plan. To break from that pattern, I petitioned hard for a four-day hack-a-thon so the whole product development organization could self-organize and feel encouraged to try new things. With mere *minutes* of up-front planning, teams started testing new product ideas in a safe-to-fail setting. The results were powerful. The barriers to action had dissolved and within months the company could announce new features and previously-shelved product ideas were underway. When asked to provide metrics to assess “how well” an Agile transformation is going, re-frame the discussion around measuring changes in the impact the IT organization is having (or not) on it’s Business environment, and define a small set of “fitness for purpose” metrics. Sooner or later, as an IT organization embarks on a transformation towards Agile mindset and practices, someone will be asked to provide “hard evidence” that the effort is paying off, and the conclusion will be that metrics is the vehicle to satisfy that request. What are your Agile transformation metrics? It’s been my experience that this request usually leads to a discussion about measuring the specific Agile initiatives the IT organization has launched. In organizations where the emphasis has been around engineering disciplines, such metrics might be things like unit test code coverage, or integration build times. If the focus was around teams and process, then counting number of teams “converted” to Scrum, or people sent to Scrum Master training may appear as the choice. While those measurement might be useful indicators in some context, they have two problems. First, they are akin to measuring the performance of the car engine without looking outside the window; the engine might be performing well, but if the car doesn’t have the wheels attached, we’re going nowhere. More importantly, though, these figures are usually meaningless for Business stakeholders, who are the ones usually asking for them in the first place. 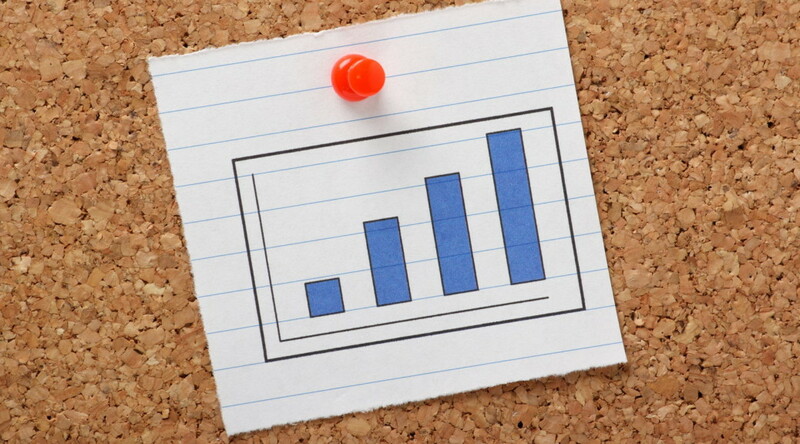 Agile transformation metrics need to be meaningful to the Business. Agile transformation efforts can be very costly exercises, therefore it is legitimate to ask about the results of such endeavour. The important thing to realize, though, is that this question is really equivalent to another question: “is the IT organization improving its impact on its Business environment.” Another way to put it is, borrowing from the terminology used by the Kanban community: “is the IT organization becoming more and more fit for purpose?” Answering this question, of course, requires a clear understanding of what is that the Business expects from its interactions with IT. The IT organization can be seen as providing various services to customers. Arguably, if IT has decided to “transform” in some way (perhaps by moving towards an Agile mindset), it’s doing so to improve its impact on those customers, so this is what needs to be measured to know “how the transformation” is going. Some of those customers are different areas of the organization (like Finance, or HR.) But it doesn’t stop there, because the Business’ engagement with IT doesn’t have value for its own sake. Ultimately, the Business is using IT as a way to optimize its operations so that it can provide external customers with more effective products and services. Moreover, IT is these days the direct channel through which those products and services are delivered to external customers (for example, through web sites and mobile applications.) Therefore, the concept of “fitness for purpose” of the IT organization can be extended to consider the fitness for purpose of the Business respect the external customers it intends to serve. Measuring “agile transformation success” really means measuring the success of the exchanges between IT and the Business, and between the Business and its external customers. Measuring the internal processes and practices that IT puts in place as part of that “transformation” is beside the point. This implies starting with a careful definition of the boundaries that delineate the exchanges to be measured. There might be more to external customer fitness for purpose than IT operations, for example, and that needs to be considered when defining Agile transformation metrics, especially if we’re later going to be drawing causation conclusions. Defining Agile transformation metrics will be, of course, a highly contextual exercise because every business organization is different. But we can, however, draw again from the Kanban community for some general guidelines on what to look for. Their thought leaders talk about classifying metrics into 3 categories: fitness for purpose metrics, health indicators and improvement drivers. Using this framework, when talking about “agile transformation metrics” we are referring mainly to the first category, and perhaps a bit to the second. Based on those, improvement initiatives can be put in place, and perhaps driven with metrics belonging to the third category. A fitness for purpose metric (also known as KPI) is an indicator of something a customer will care about. This is a key distinction: if the metric is not easily recognizable and meaningful for the customer, then it’s not a KPI. Another key characteristic is that a minimum threshold for its value can be defined: if the metric goes below the threshold, the Business is putting the relation with its customers at risk (perhaps they will walk away, initiate legal actions, etc.). In other words, the Business is no longer “fit for purpose”. We can then measure the effectiveness of the “agile transformation” by analyzing how KPI values over time compare to their respective thresholds. A typical KPI is delivery time, measured from the moment a customer request is accepted and committed to, until the moment it’s delivered to production. This is usually a good Agile transformation metric. Health indicators are metrics that are inwards facing. Customers don’t really care about them (or even understand), but they indicate how a given aspect of the system is operating. The key characteristic is that they are not directly actionable; they only provide information that needs to be analyzed and put in context. As the value of a health indicator changes, we can draw some conclusions about how the system works, or explain why something is happening (or not), but it doesn’t necessarily leads to concrete action. Defect count is an example of this. Customers will certainly care about quality of the product, and we can make inferences about that quality by looking at how many defects we have, but the absolute number of defects will not necessarily make the product more or less fit for purpose. It may happen that customers consider the current quality to be “good enough”, irrespective of the number of defects. Finally, improvement driver metrics are metrics put in place to influence behaviour towards a particular change. Their key characteristic is that they are temporary: we set a target on them and once the target is achieved, the metric is no longer necessary. The reason for this is related to the unintended behaviours that a metric might encourage in people, which may lead to locally optimizing the metric at the expense of other aspects, leading to global sub-optimization of the system. An example is unit testing code coverage: if we have determined that a given service is not fit for purpose and the cause is related to poor unit test coverage, then establishing a target for minimum coverage may influence developers to work on adding tests to reverse the situation. Although a cancelled Sprint is rare, it can be tempting to try and wait until everything is “perfect” or “ready” before re-starting. Teams should immediately re-start after cancelling a Sprint. One team I heard of was doing two week Sprints, cancelled due to a major tool problem, and then waited three months for the vendor to fix the problem before going back to Sprinting. Instead, they should have used their creative problem-solving skills to find a way to continue delivering value and restarted their Sprints immediately. A Sprint can be cancelled before the Sprint time-box is over. Only the Product Owner has the authority to cancel the Sprint, although he or she may do so under influence from the stakeholders, the Development Team, or the Scrum Master. 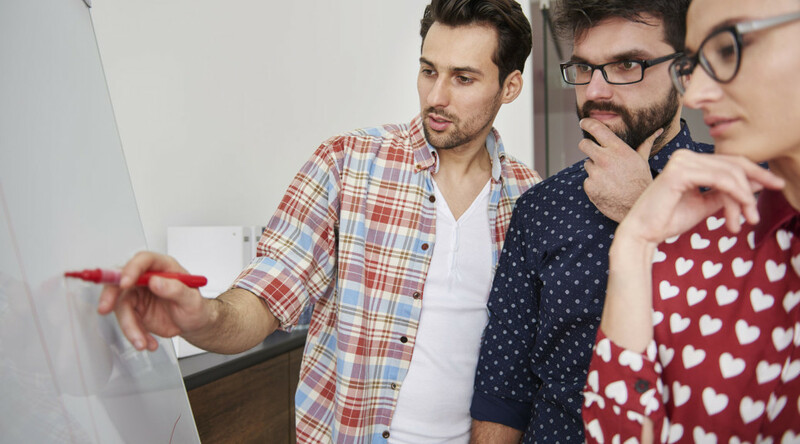 It is important to note that older descriptions of Scrum will sometimes mention that the ScrumMaster or the Development Team can also cancel a Sprint. This is no longer part of the core definition of Scrum. Cancelling a Sprint, particularly later on in the timebox means there’s a lot of work already in progress (and possibly done). The psychology of sunk costs comes into play: we’ve invested some much in the Sprint so far, let’s just keep going to see if we can “fix” it. Going against that impulse can be very difficult. 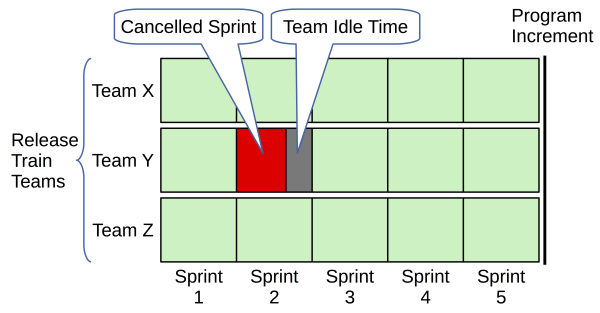 A cancelled Sprint is an acknowledgement that the fundamental direction of the current Sprint is no longer the right thing to be doing. This can seem to be an insult to the team: why didn’t “you” get it right earlier? If there are certain people on the team who advocated strongly for the current set of work, they could take Sprint cancellation particularly hard. Cancelling a Sprint may require undoing technical work and may be complex. If team members have made changes that they are particularly proud of, they may resist undoing that work more than would be called for simply due to the time involved in undoing it. Once people experience these emotional effects from a cancelled Sprint, they will want to be cautious to avoid them re-occuring. That sense of caution will lead people to make arguments to the effect of “let’s make sure when we start our next Sprint that we have everything right” or simply, “I don’t want to go through that again… we better get it right this time around.” In order for the ScrumMaster to avoid falling for these arguments, it is important for the ScrumMaster not to be a hands-on contributor to the work. In other words, to be emotionally detached from the work. Those arguments can be persuasive unless the ScrumMaster can remind the team about empiricism. The ScrumMaster must always support the Product Owner if the product owner believes that a cancelled Sprint will lead to the best business outcomes. Scrum is an empirical process that allows for “failure”. Of course, it probably helps to not call it that. Instead, a Scrum Team and the organization around it need to think of every Sprint as an experiment. There’s a good analogy here with the various stages of drug trials. When a company wants to research a new drug, the drug will go through various stages of experiments. The early stages of research are based on chemical reactions in the proverbial test tubes – laboratory experiments. Subsequent stages of research are often based on animal experiments. After that come human trials. At any stage if the drug in question is showing adverse effects outweighing the therapeutic effects, then the current stage is cancelled. Of course, the research done to that point is not a waste, but nor does it immediately result in a useful drug with net therapeutic effects. In Scrum, each Sprint is like a stage in the drug trials. If the work of the Sprint will not result in a net benefit, it only makes sense to cancel the work as soon as that information becomes obvious. The pitfall, then, is that after a cancelled Sprint a team will feel pressure to wait until conditions are perfect before continuing on the next Sprint. Scrum does allow for the team to do a bit of a review of the reasons that the Sprint was cancelled, perhaps even to do a retrospective, and then start another Sprint planning meeting. The Sprint Planning meeting might be a bit longer than usual. The ScrumMaster does need to be sensitive to the needs of the team. Even though the concept of self-organizing teams has been around for a long time, still some people think that a project manager or team lead should be assigning tasks to team members. Don’t do this!!! It is better to wait for someone to step up than to “take over” and start assigning tasks. Scrum Teams are self-organizing….. Self-organizing teams choose how best to accomplish their work, rather than being directed by others outside the team. Self-organisation is a process where some form of global order or coordination arises out of the local interactions between the components of an initially disordered system. This process is spontaneous: it is not directed or controlled by any agent or subsystem inside or outside of the system; however, the laws followed by the process and its initial conditions may have been chosen or caused by an agent. The key here is that there is no single point of authority, even temporarily, in a self-organizing team. Every individual member of the team volunteers for tasks within the framework of “the laws followed by the process” – namely Scrum. Scrum does define some constraints on individual behaviour, particularly for the Product Owner and the ScrumMaster. People in those two roles have specific duties which usually prevent them from being able to volunteer for any task. But all the other team members (the Development Team) have complete freedom to individually and collectively figure out how they will do the work at hand. What If One Person Isn’t Working? People who are managers are often worried about this. What if there is one person on the team who just doesn’t seem to be doing any work? Isn’t assigning tasks to this person a good thing? Scrum will usually make this bad behaviour really obvious. Let’s say that Alice hasn’t completed any tasks in the last four days (but she does have a task that she volunteered for at the start of the Sprint). Raj notices that Alice hasn’t finished that initial task. An acceptable solution to this problem is for Raj to volunteer to help Alice. Alice can’t refuse the help since Raj is self-organizing too. They might sit together to work on it. Of course, that might not solve the problem. So another technique to use that respects self-organization is to bring it up in the Sprint Retrospective. The ScrumMaster of the team, Sylvie, chooses a retrospective technique that is designed to help the team address the problem. In a retrospective, it is perfectly acceptable for people on the team to be direct with each other. Retrospectives need to be safe so that this kind of discussion doesn’t lead to animosity between team members. Remember: everyone goes through ups and downs in productivity. Sometimes a person is overwhelmed by other aspects of life. Sometimes a person is de-motivated temporarily. On the other hand, sometimes people become extremely engaged and deliver exceptional results. Make sure that in your team, you give people a little bit of space for these ups and downs. Assigning tasks doesn’t make a person more productive. What If There is One Task No One Wants to Do? Dig deep and find out why no one wants to do it. This problem is usually because the task itself is worthless, frustrating, repetitive, or imposed from outside without a clear reason. If no one wants to do a task, the first question should always be: what happens if it doesn’t get done? And if the answer is “nothing bad”… then don’t do it!!! There are, unfortunately, tasks that are important that still are not exciting or pleasant to do. In this situation, it is perfectly acceptable to ask the team “how can we solve this problem creatively?” Often these kinds of tasks can be addressed in new ways that make them more interesting. Maybe your team can automate something. Maybe a team member can learn new skills to address the task. Maybe there is a way to do the task so it never has to be done again. A self-organizing Scrum Team can use innovation, problem-solving and creativity skills to try to over come this type of problem. And, of course, there’s always the Sprint Retrospective! Why Self-Organize – Why Is Assigning Tasks Bad? Autonomy is one of the greatest motivators there is for people doing creative and problem-solving types of work. The ability to choose your own direction instead of being treated like a mushy, weak, unreliable robot. Motivation, in turn, is one of the keys to creating a high-performance state in individuals and teams. The greatest outcome of good self-organization is a high-performance team that delivers great work results and where everyone loves the work environment. Assigning tasks to people is an implicit claim that you (the assigner) know better than them (the assignees). Even if this is true, it is still easy for a person to take offence. However, most of the time it is not true. People know themselves best. People are best at assigning tasks to themselves. And therefore, having one person assigning tasks to other people almost always leads to sub-optimal work distribution among the members of a team. The ScrumMaster plays an important role in Scrum. Part of this role is to encourage self-organization on a team. The ScrumMaster should never be assigning tasks to team members under any circumstances. And, the ScrumMaster should be protecting the team from anyone else who is assigning tasks. If someone within the team is assigning tasks to another team member, the ScrumMaster should be intervening. The ScrumMaster needs to be constantly aware of the activity on his or her team. Find out why Sprint Zero is a bad idea, and what you can do instead! More Scrum and Agile videos to come! Please subscribe to our WorldMindware channel. During Sprint Reviews, I’ve observed teams showcasing the results of purely technical work. Sometimes the resolution of a defect caused by some form of technical debt (“we noticed that we were making too many service calls”); or something related to development infrastructure (“we had to switch to a new testing framework”.) In such cases, the presentation frequently jumps quickly into a description of what was done showing, for example, the before and after behaviour connected to the defect or the results produced with a testing framework. and in the worst case scenario, might feel they’ve wasted their time attending the Review. How is the world better now that we’ve fixed this defect? What’s the impact on the users and the business? What specific new capability does this technical work allow the team to do now for the business they serve (that they couldn’t do before)? Although subtle, having a public retrospective can do terrible damage to a Scrum team. In this video I explain what I mean by “public”, why it is so bad, and what you should do instead. This is part of a video series on the Myths of Scrum that is meant to respond to some of the most common mis-information (myths) about Scrum and Scrum practices. I will follow-up this video in several weeks with a written article complimentary to this video. Feel free to let me know in the comments if you have any topics that you would like me to cover in my video series! The Daily Scrum should not be used to find solutions to problems (obstacles, impediments) raised. Instead, keep the meeting very short and have those problem-solving conversations afterwards with only those who are interested. The ScrumMaster facilitates this meeting to keep it on track. The Daily Scrum is timeboxed to a maximum of 15 minutes, but often should be even less. With a good physical task board, a Daily Scrum can often be done in less than a minute simply by each team member pointing at the pieces of work they are working on. The Development Team or team members often meet immediately after the Daily Scrum for detailed discussions, or to adapt, or replan, the rest of the Sprint’s work. What did I do since the last time we checked in as a team? What am I planning to do before the next check in time? What impediments, if any, are preventing us from getting our work done? Each member of the team takes a turn and answers those three questions. This doesn’t have to be completely stilted, but it should be Focused (another value of Scrum) and efficient so that the need for other meetings is minimized. Accomplishing this takes some practice. The ScrumMaster helps the team to keep the timebox, but at first, a team might have challenges with this. One team member doesn’t know what to do next and it devolves into re-planning right there and then. A quick suggestion or two is probably fine, but it is a very steep slippery slope. A team can easily get into the habit of always doing this! The ScrumMaster needs to be vigilant about recommending that the discussion be taken up after the Daily Scrum is concluded in order to avoid this pitfall. This suggestion will be common when a team is first starting out. One person mentions an impediment that someone else knows how to solve… and a third person has a different idea of solving it. In this situation it is much better for interested team members to just simply indicate “I have an idea for that,” and let the Daily Scrum continue. Then after the Daily Scrum those people have a quick discussion. This avoids wasting the time of everyone on the team with something that is only interesting to a few. An individual doesn’t seem to have anything to report and other team members try to elicit more information. This should really be something that the ScrumMaster or the team’s coach should take up with the individual. It may be that there is an impediment that the person is uncomfortable sharing openly with the whole team. There is a subtle pitfall that may be revealed here: that the team does not have the safety to self-organize. Disagreement about what to do next. 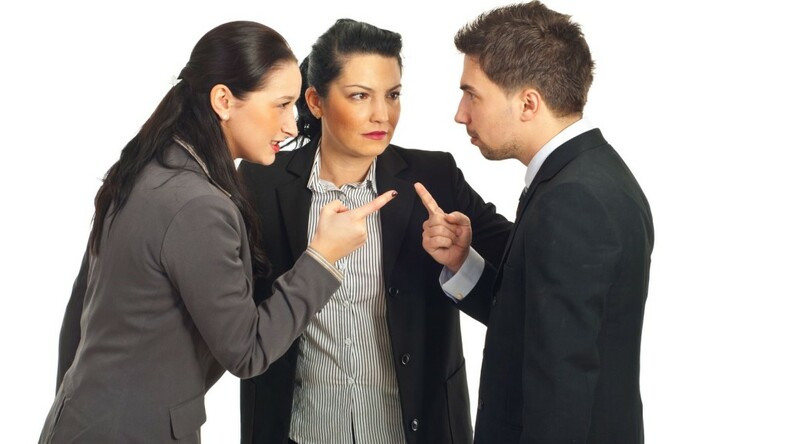 This type of problem is the hardest to deal with because many people will feel that disagreements need to be resolved before any action can be taken. A good ScrumMaster will actually encourage competing ideas to be attempted. Learn by doing instead of by argument and analysis. This is the fundamental shift in culture that Scrum is attempting to put in place: an empirical approach to work rather than a defined approach. Just beware: yet another pitfall (although not common) is to decide that the Daily Scrum shouldn’t be daily because it is taking so long. Unfortunately, making this change will often just make the meetings even longer until they devolve back into weekly status meetings reporting to the team lead!!! Remember that it’s not Scrum anymore if your team doesn’t meet together daily. Ultimately, if a team is struggling with the Daily Scrum in any way, this is a valid topic for discussion in the Sprint Retrospective. One antidote to over-designed collaboration is the check-in. In a few weeks, I will be posting a more detailed written follow-up to this video. This is one of the most damaging and most common myths (or pitfalls) that ScrumMasters fall into…. Many organizations try to find an electronic tool to help them manage the Scrum Process… before they even know how to do Scrum well! Use team rooms and manual and paper-based tracking for early Scrum use since it is easiest to get started. Finding a Scrum tool is usually just an obstacle to getting started. delay the transfer of information and knowledge. Imagine you are sitting at your desk in a cubicle in an office. You have a question. It’s a simple question and you know who probably has the answer, but you also know that you can probably get away without knowing the answer. It’s non-critical. So, you think about searching the company directory for the person’s phone number and calling them up. Then you imagine having to leave a voice mail. And then you decide not to bother. The tools have created a barrier to communicating. Information and knowledge are not shared. Now imagine that the person who has the answer is sitting literally right next to you. You don’t have to bother with looking up their number nor actually using a phone to call. Instead, you simply speak up in a pretty normal tone of voice and ask your question. You might not even turn to look at them. And they answer. Scrum tools are no different from these other examples of tools. It takes much more energy and hassle to update an electronic tool with relevant, concise information… particularly if you aren’t good with writing text. Even the very best Scrum tools should only be used for certain limited contexts. How many times have you experienced this? You send an email and the recipient completely misunderstands you or takes it the wrong way. You are on a conference call and everyone leaves the call with a completely different concept of what the conversation was about. You read some documentation and discover that the documentation is out of date or downright incorrect. You are using video conferencing and its impossible to have an important side conversation with someone so you resort to trying to send text messages which don’t arrive on time to be relevant. You put a transcript of a phone call in your backlog tracking tool but you make a typo that changes the meaning. The tools have reduced the fidelity of the communication. Information and knowledge are incorrect or limited. Again, think about the difference between using all these tools and what the same scenarios would be like if you were sitting right beside the right people. If you use Scrum tools such as Jira, Rally* or any of the others, you will have experienced this problem. The information that gets forced into the tools is a sad shadow of the full information that could or should be shared. Even if a person uses a tool and even if it is at the right level of fidelity for the information or knowledge to be communicated, it is still common that electronic tools delay the transfer of that information. This is obvious in the case of asynchronous tools such as email, text messages, voice mail, document repositories, content management systems, and version control. The delay in transfer is sometimes acceptable, but often it causes problems. Suppose you take the transcript of a conversation with a user and add it into your backlog tracking tool as a note. The Scrum Team works on the backlog item but fails to see the note until after they have gone in the wrong direction. You assumed they would see it (you put it in there), but they assumed that you would tell them more directly about anything important. Whoops. Now the team has to go back and change a bunch of stuff. The Scrum tools have delayed the communication. Information and knowledge are being passed along, but not in a timely manner. For the third time, think about how these delays would be avoided if everyone was in a room together having those direct, timely conversations. Working in a team room with all the members of the Scrum Team present is the most effective means of improving communication. There are many photos available of good team rooms. To maximize communication, have everyone facing each other boardroom-style. Provide spacious walls and large whiteboards. Close the room off from other people in the organization. Provide natural light to keep people happy. And make sure that everyone in the room is working on the same thing! Using Scrum tools to replace a team room is a common Scrum pitfall. 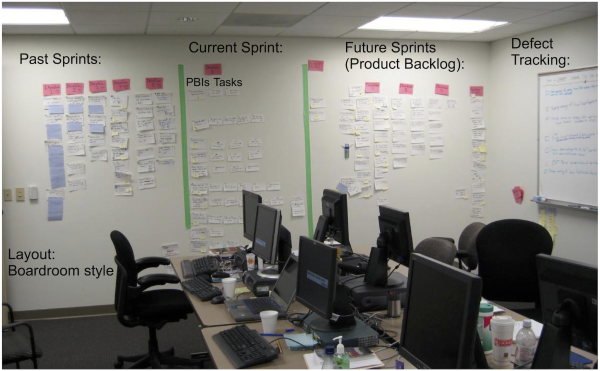 The most common approach to helping a team track and report its work is to use a physical “Kanban” board. This is usually done on a wall in which space is divided into columns representing (at least) the steps of “to do”, “in progress” and “done”. On the board, all the work is represented as note cards each with a separate piece of work. The note cards are moved by the people who do the work. The board therefore represents the current state of all the work in an easy-to-interpret visual way. Using a tool to replace a task board is another variant of this common Scrum pitfall. * Disclaimer: BERTEIG is a partner with a tool vendor: Version One. As teams grow, they build confidence and seem to become self-contained, and almost insular to some. This is normal and is not a sign of dysfunction. This simply indicates that the team is starting to have self identity. They are starting to act as a team. This is a good sign…. As the teams become more effective, the Development Manager feels more loss. Very few people are paid to chat or write email: executive assistants and lawyers mostly. Everybody else is paid to do other work like write code, build things, solve problems, or transact with customers. Think about what you’re actually paid to do, then do that and only that. If the Slack channel side-bar represents your definition of “collaboration”, stop! If you need to communicate with others while doing your work, do it face-to-face whenever possible or by phone & video. To be clear: Slack channels may be good for announcements but quickly digress as water-cooler drivel and those chatbots are sorry excuses for actual event logging. Perhaps it’s reassuring to be reminded that there’s nothing in Slack (or Yammer/HipChat/Asana/Jira/Trello) more important than the work you’re actually paid to perform. If your “Sent Items” folder is a CYA repository, stop! If it’s necessary in your organization to CYA then document your activity in a personal journal and stop involving other people in your CYA habit. 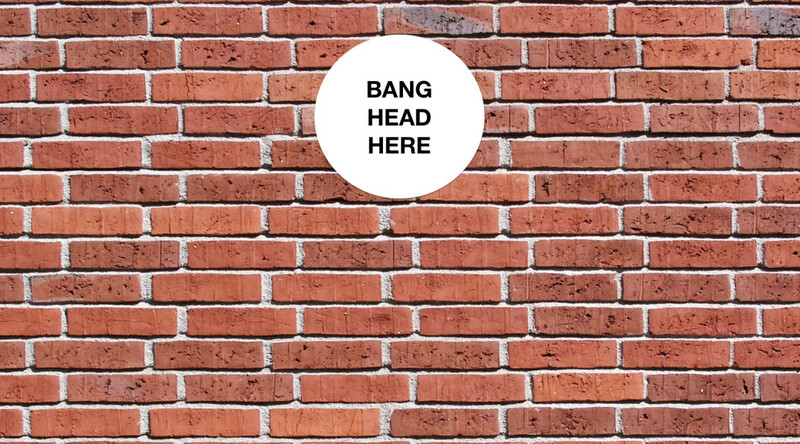 If your Inbox is your to-do list, stop! Use sticky-notes, a hipster PDA, or a calendar. If Multiple Lines of Business Have Competing Priorities, Then Portfolio Prioritization…Right Now!! team was embarrassed that their code quality had eroded. and until they do the onus is on their VP to relinquish said authority and to have crucial conversations with all stakeholders in order to prioritize the portfolio and to set realistic expectations with regard to the team’s true capacity.